I could go into the whys and wherefores of how all this came about. But the summary is... A long while back, I worked with an awesome group of guys led by Brian Isikoff that included Mark Humphreys and Mike Holmes. We were all working on a second edition of the role-playing game Hero Quest, which eventually would be handed off to Robin Laws. I was working on genre chapters, some examples of play and actively involved in some of the mechanics discussions back then. After the publisher shifted over to Robin, Mark Humphreys took over the project and took it all the way to completion. It recently came to my attention that the project was published as Other Worlds. The two genres that I'd worked on that were adapted into the book are the Horror and Pirates genres. While my text has been heavily edited, there's still some stuff in there that I put my John Hancock to. First off, kudos to Mark on doing such a great job. The book looks fantastic and he should be really proud of what he accomplished. He hunkered down and made this thing happen. And I got XP for it!!! Please check it out if you get a chance. It can't get any more official. So here's the scoop. 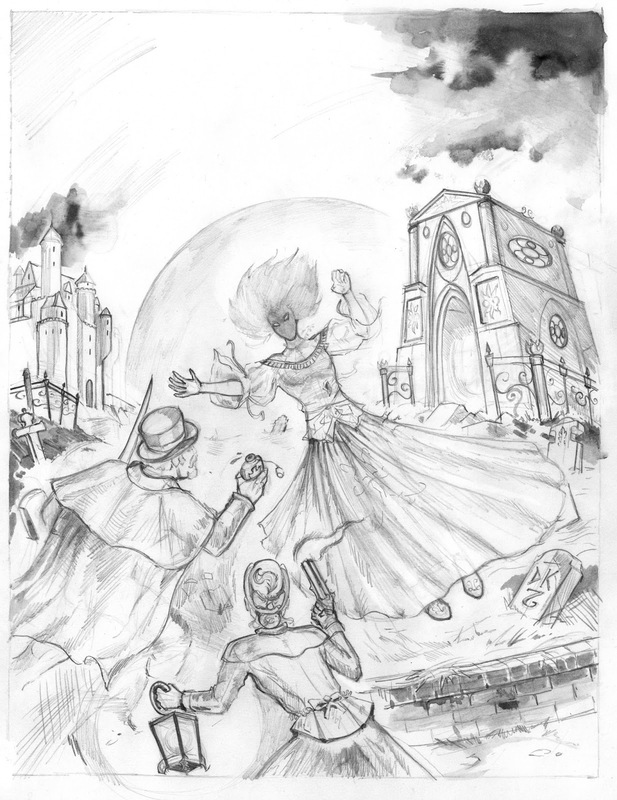 Doug Kovacs is doing the cover for Transylvanian Adventures and, if I have any say in it, he'll be doing the covers for the other two books as well. Even if I have to go rescue him from a clan of rabid ninjitsu monkeys. Or UNDEAD, rabid ninjitsu monkeys. Suffice to say, I'd save him from kobolds. He's awesome and I am humbled and deeply thankful to have him on the team. Now here's a sketch Doug sent of the cover. It's brilliant. Thank you, Doug.